Designer Loft is a full-service salon. 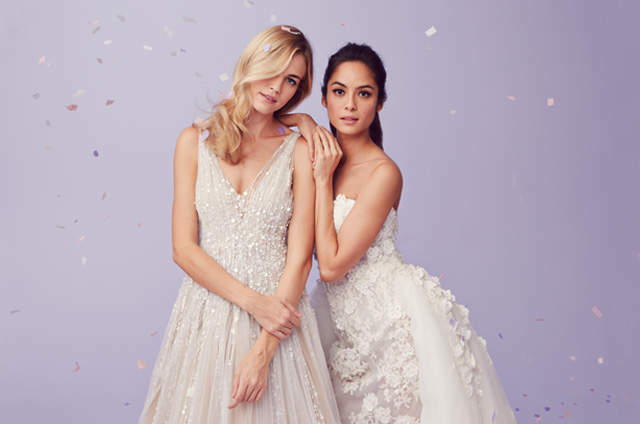 Choose gowns from designers such as Rosa Clara, Aire Barcelona, Pronovias, Pronovias Atelier, Eddy K, Matthew Christopher, Cristiano Lucci, Gemy Malouff, and Robert Bullock. Offering gowns, jackets, shrugs, accessories, veils, jewelry, and more. The passionate Designer Loft team believe that each bride should embrace their individuality; too often brides feel the need to conform to dictated styles. At Designer Loft, you will be advised in a non-patronizing, friendly manner, according to the individual style of each bride. It will be a relaxed shopping experience to remember! 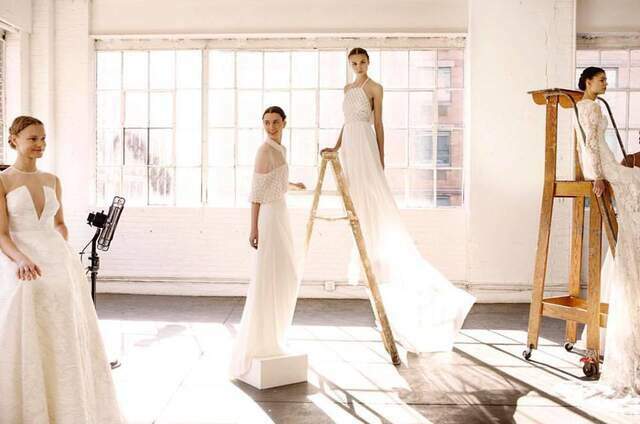 This top New York bridal salon features up-and-coming couture designers, and international labels renowned for stunning gowns. Some designers are even exclusive to Designer Loft. You will be amazed at the variety on offer, this place celebrates diversity. No matter how big or small the purchase is, this team will provide excellent customer service and friendly recommendations. The Designer Loft Bridal Salon was a wonderful experience for my daughter. We arrived a few minutes early and were greeted by a lovely young lady, Marissa. Marissa gave my daughter some paperwork to fill out. Shortly after Marissa helped my daughter to select dresses to tryon. Marissa was very patient and listened to what style my daughter was looking for in her wedding dress. There were many dresses to select from and also a trunk show by designer, Yumi Katsura. My daughter tried on quite a few dresses, but we knew once she tried on a dress from the trunk show we all had the chills. She looked gorgeous. After speaking with the owner, Liz and another consultant, Allie we decided to come back the next day and confirm our decision. We had two more appointments that afternoon, but nothing was as beautiful. The next day the tailor consulted with us and we decided to say YES to the dress!!! I highly recommend the Designer Loft Bridal Salon. They are a wonderful group of woman and everyone was extremely helpful and patient. 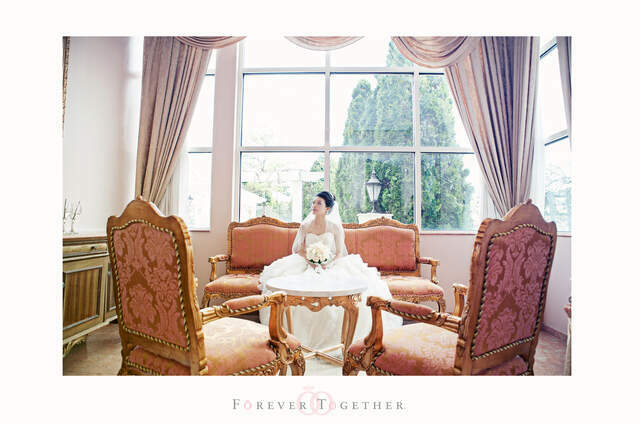 Designer Loft Bride is a small quaint bridal shop for those brides who seek an intimate and personal feel to their bridal gown shopping experience. This bridal shop is also unique in that no one is forcing you to purchase a dress on your first visit. 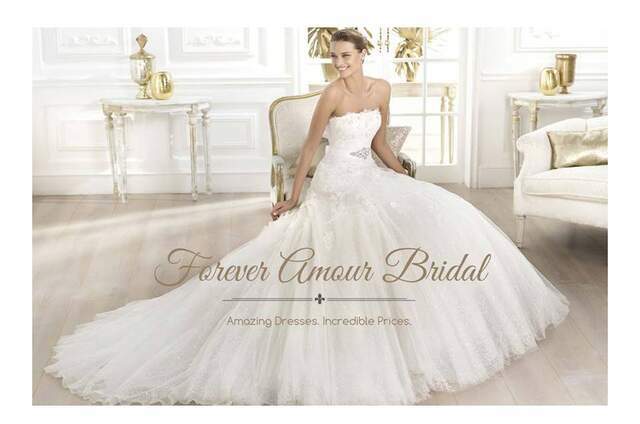 They are very respectful of your price range and the specifics of the gown you are seeking to get. 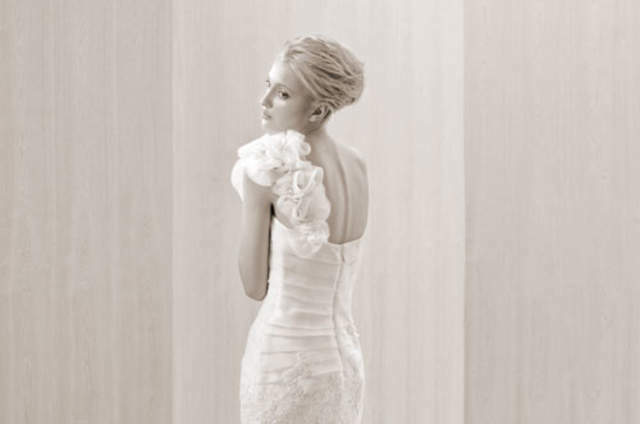 I recall my first visit was on a whim after visiting several other bridal shops which left me annoyed and frustrated. Such was not the case at the Designer Loft. I arrived and was greeted with respect and pleasantness. The staff were really friendly and not pushy. After providing my price range for a wedding gown and the gown details and specifics we started to choose styles off the dress rack to try on. I immediately fell in love with a Paloma Blanca wedding gown. I had returned to the store a total of THREE times before deciding to purchase and each and every time I returned to try on the gown before making my final decision, the staff remained friendly, patient and pleasant, which is exactly what a bride needs. My alterations were also a pleasant experience. The seamstress was very talented and patient with me. I had to go for a total of 4 dress fittings because I am so petite in stature but at the end it was a beautiful and elegant result. I truly fell in love with the Designer Loft staff team and my Paloma Blanca wedding gown. Thank you, Designer Loft Bridal! I really lucked out when my daughter found the designer loft to look for her wedding dress. We had been to so many other places that were considered "the best", and found little that we liked, and service and pressure that made my hair stand on end! Once we arrived at thedesigner loft we were treated with respect and with absolutely no pressure. This is very important to me especially after the horrendous experiences we had at other places. My daughter found the perfect dress for her wedding. Totally appropriate for the St.Regis. She looked elegant. Not only did they tailor magnificently, but they also created a lace shell for her to wear over the dress for the service so that her chest and arms were not exposed. I was so impressed by their professionalism and quality of work by their seamstresses. I too bought my dress there and once again they were able to alter it so that it fit me to a tee and I felt so beautiful. I cannot compliment them enough for their work, patience and their ability to really want to satisfy me and my daughter. Designer Loft was the first place I visited to try on wedding dresses. I was able to get an appointment with pretty short notice, but felt like I was given very individualized attention while I was there. The staff was so warm and helpful. Like many brides, I started the dress-trying-on experience with one conception of my perfect dress, and ended up buying something completely different. Designer Loft was so helpful in steering me towards the most flattering styles, including dresses I'd never considered. The icing on my experience was the price of my dress. I ended up spending considerably less money than initially anticipated for the dress of my dreams. Alterations were a breeze, and Designer Loft arranged to have my dress delivered to my hotel the day before my wedding. I received so many compliments on my dress, to the point that many of our guests thought it was a one-of-a-kind. It was a wonderful experience, and I have since recommended Designer Loft to a number of newly engaged friends.